Indoor mobile coverage is becoming vital, but selecting the right solution isn't easy. 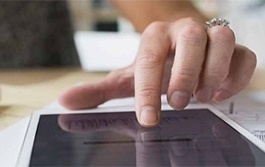 CommScope’s In-Building Wireless eBook is here to help! 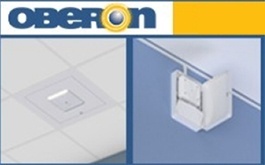 Oberon Inc. is ready to secure and protect with three new mounting solutions for the recently announced Cisco® Aironet® 4800 Series. 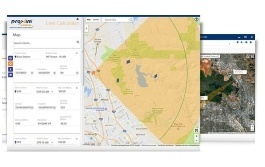 The link calculator helps partners and integrators calculate design and performance of outdoor point-to-point and point-to-multipoint networks. 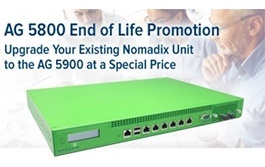 With the AG 5800 reaching end of life by December 15, Nomadix is pleased to offer a promotion for AG 5900 gateway, recognized as the most reliable gateway on the market. Anixter was recently featured in the June 2018 issue of Security Sales & Integration Magazine. 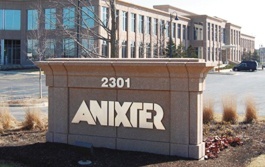 Anixter has spent the past decade strengthening its security products distribution position. 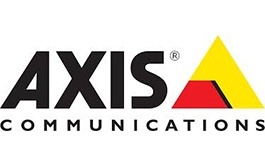 Axis is launching a new network door controller that can process up to 70,000 credentials, ideal for large, multi-site and advanced installations. Panoramic cameras give a much wider field of view than standard cameras, from wall mounted 180-degree, to ceiling mounted 360-degree overview. The ideal solution for public address and emergency sound applications, like announcements, scheduled events, background music and voice evacuation. Utilizing PoE++ switches for Intelligent LED lighting is an emerging trend that leverages low-voltage PoE for lower lighting installation costs. While stock lasts, Austin Hughes is offering special pricing on their N119 LCD console drawers with optional integrated KVM. Austin Hughes InfraCool solutions minimise server hot spots, assist with aisle containment cooling performance and provide temperature monitoring. Why upgrade to Connected Smart-UPS with APC SmartConnect? For many reason and also for the extra bonus to receive an additional one year warranty on the UPS battery! The EON-121 is a small. low-power 100G transponder. Placed near the source of client traffic, it allows a decentralised xWDM architecture.